While more and more podcasts are covering increasingly narrow topics — from seasons dedicated to a single celebrity’s life story, to pop culture dissections of a movie’s every minute — Malcolm Gladwell’s Revisionist History is a far-reaching outlier. Now in its third season, the show continues to use the conceit of drawing unexpected conclusions from both well-known and obscure events as a vehicle for Gladwell to explore anything that strikes his fancy. As with Gladwell’s writing, the route to re-contextualizing and re-understanding the events in each episode can be both enlightening and mysterious. If you enjoy Gladwell’s brand of cocktail party anecdotes plucked from social science academia, you’ll devour every episode. If you don’t, and you would not be alone in that reaction, you might be better off with a more straightforward history podcast like Slow Burn, about Watergate, or the highly educational Stuff You Missed in History Class. This season of Revisionist History begins in typical Gladwellian fashion by taking an overlooked detail — the placement of a semicolon in the Constitution — and following it to the surprising and grand conclusion that Texas Republicans could reshape U.S. politics. Gladwell argues that members of the Texas Congress could gerrymander the state into five mini-Texases, improving their chances at dominating their Democratic opponents. The new states would have a total of 10 U.S. Senate seats, up from the two Texas has now. And if the state lines are drawn correctly, all 10 Senators could end up Republican. Gladwell, perplexed that the Texas GOP won’t make this move, urges them to act. Gladwell has many of these exasperated moments in the show, and they’re usually extremely fun to follow along. Except every so often it’s hard to tell whether Gladwell’s conclusions are considering every realistic detail. Indeed, Nate Silver wrote about this constitutional semicolon some time ago and came to a less exciting realization. Splitting up Texas would mean increasing its count of Electoral College votes and dividing them among five smaller states. If Republicans won every state, they would improve their chances of electing another Republican president. But if Democrats won even a couple of those states, the GOP’s net Electoral College gain would be less than what it is today with a single, solidly Republican Texas. To be fair, Silver’s analysis is almost 10 years old, and Republican control in Texas has only grown since then. But while Silver and Gladwell both work in the theoretical realm, only Silver considers the possibility that like many thought experiments, this one might be messier and more unpredictable in practice. Gladwell may be right, but his sense of absolute certainty can seem a bit suspicious, as if the amazing revelation he’s sharing with you (and his revelations are all amazing) really is too good to be true. Nitpicking aside, Gladwell is fantastic at taking complex stories with heaps of details and shaping them into deliciously-digestible arguments. He has a terrific command of narrative, and is able to jump between disparate characters and timelines within a single episode and leave you feeling enriched rather than overwhelmed. His episode on the U.S.-Mexico border, in which he ties a Vietnam vet’s disappointing experience abroad to the current dismay of U.S. immigration, is a masterclass on this tactic. Gladwell is also an expert dot-connector and intellectual-prodder. In a two-part episode about memory, he presents several cases that question how accurate human memory can ever be. The two-parter’s biggest story is news anchor Brian Williams’s 2015 fall from grace after being caught in a supposed lie about the Iraq War. For years, Williams repeatedly told an exciting story about riding in a helicopter when it was shot down outside Baghdad, stranding him and a small crew of soldiers behind enemy lines. But when the helicopter’s pilot came forward to say Williams actually wasn’t in the downed aircraft, news outlets everywhere branded Williams a liar, resulting in his temporary suspension from NBC and what at the time looked like the end of his career. Conventional logic said Williams lied for attention. Gladwell, however, argues that Williams didn’t lie intentionally but misremembered the facts due to trauma he experienced from years of war zone reporting. Gladwell cites a study regarding people’s self-reported memories of a traumatic moment in their lives: September 11th. The study queried people on what they remember doing the morning of the 9/11 attacks and gathered responses soon after the event as well as years later. In conclusion, the study suggested that people have poor long-term memory of traumatic events, despite generally believing themselves to remember those events perfectly. Gladwell’s approach to the Brian Williams story, which seemed like an open-and-shut case, and his use of the 9/11 study make for terrific storytelling. But there is again that unfortunate kernel of questionability. People not directly subject to a traumatic event but who are aware of it when it happened, like the subjects of the 9/11 study, are in a different boat from those who experience trauma firsthand, as Brian Williams did at various points throughout his war reporting. The two groups don’t have the same exposure to trauma, so comparing them without accounting for that difference feels hasty (although it doesn’t discredit Gladwell’s larger findings). 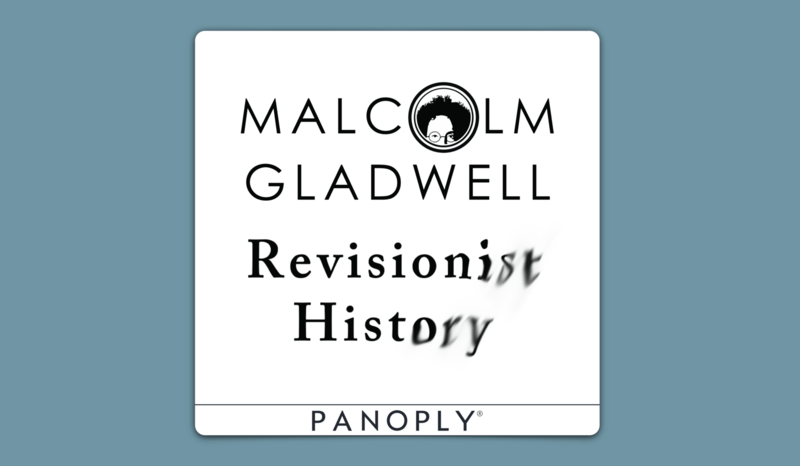 While Revisionist History is about Gladwell’s interests, the show also provides insight into Gladwell himself. On an episode titled “Malcolm Gladwell’s 12 Rules for Life,” Gladwell tells an anecdote to show how anxious he can be about appearing disagreeable to others. He then says that one of his life rules is to be self-assured enough to never worry about whether others find you disagreeable. This kind of quirky line-toeing is at the heart of Gladwell’s compelling nature. While he can be a bit too clever at hiding any fragility in his theses, he never shies from making unexpected arguments that cause us to question our surroundings. Revisionist History is our opportunity to see the world through Gladwell’s eyes. It’s perplexing, frustrating, and always worth a second look.